AlwaysOn, the leading producer of world-class conferences for venture investors and entrepreneurs of emerging private companies, today announced the winners of the first ever "OnDemand 100" list. 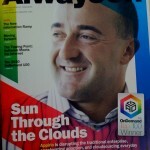 The companies selected for the AlwaysOn "OnDemand 100" represent a wide variety of emerging growth companies across the industry, from Cloud Application Platforms and On Demand Software for Customer Relationship Management, to Cloud Management Tools and On Demand Software for Business Management Applications. The overall winner of the "OnDemand 100" is Appirio, a cloud solution provider that offers both products and professional services that help enterprises accelerate their adoption of the cloud. The full list of "OnDemand 100" companies can be viewed here.